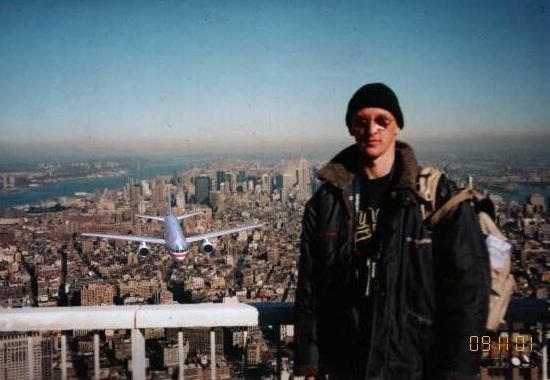 As circulated online, spoofs of the "Tourist Guy" photo, perhaps the most famous of Internet memes circulating in the immediate aftermath of September 11. 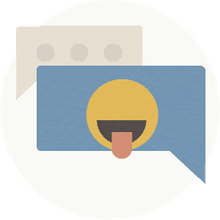 By a strange twist of fate (or so it seemed at the time), his face would become as recognizable in the weeks after September 11, 2001 as those of Osama bin Laden and George W. Bush. He would be known to millions as "The Tourist Guy," that oblivious dude wearing dark glasses and stocking cap whose photo was snapped, wayward jetliner looming in the background, atop one of the doomed twin towers seconds before tragedy struck. It was, of course, a hoax.